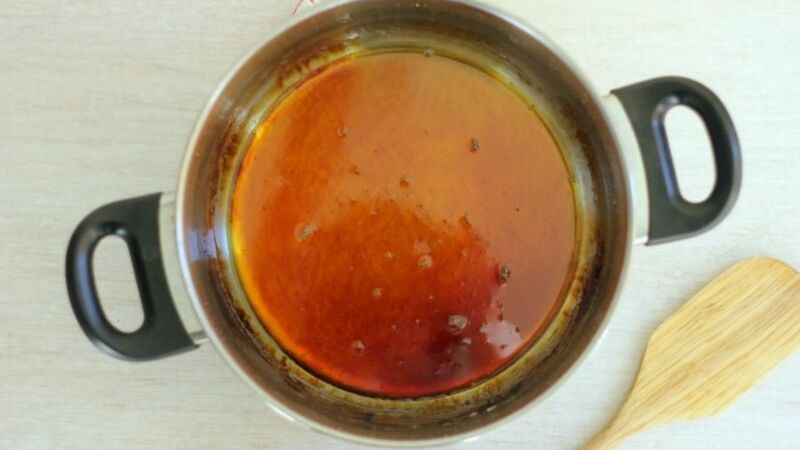 Melt the sugar with the water until caramelized. Take it to a jelly mold, let it cool down and set aside. 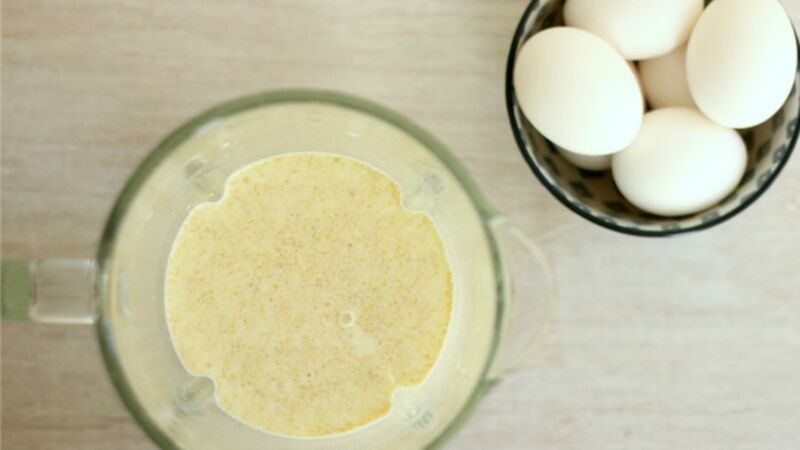 Blend the eggs, evaporated milk and condensed milk. 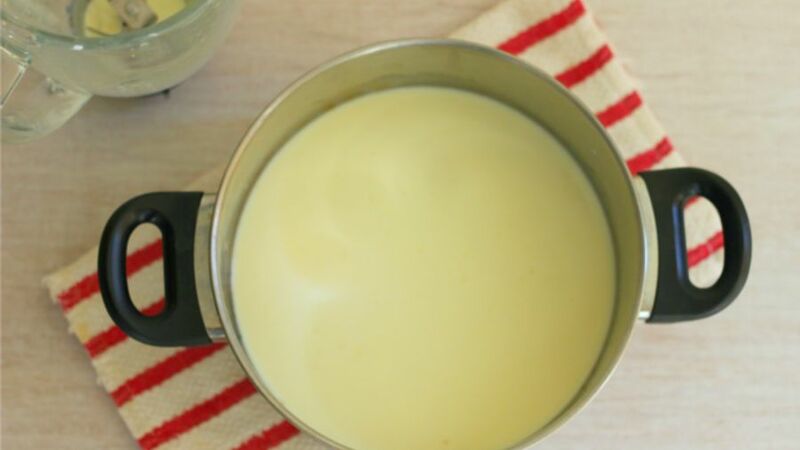 Serve over the hard candy and bake in a water bath for at least 1 hour or until a knife comes out clean from the flan. Prepare the prune caramel by warming up the sugar and water. Once it has a glaze-like consistency, add the prunes and let cook over low heat from 8 to 10 minutes. Remove so it won’t stick. Once the flan is cold, take it out of the mold and glaze with prune caramel. 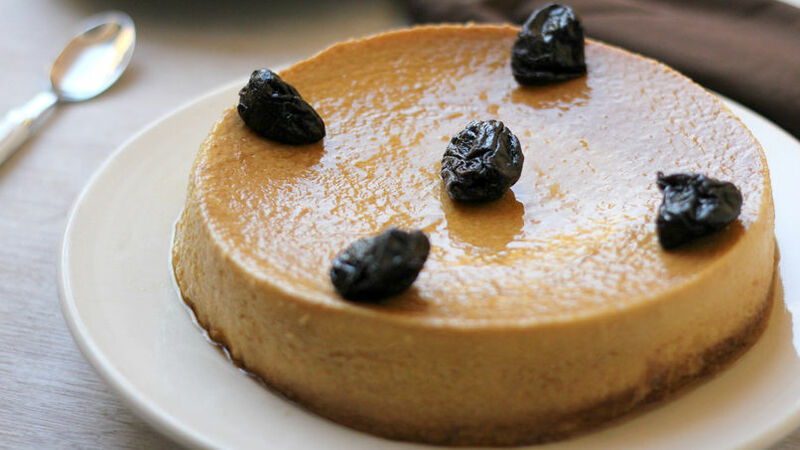 For a more festive prune flan, add a touch of rum to the mixture!